A slowdown in regulation changes in the first quarter and the discussion around reducing regulations for lenders aren’t likely to reduce compliance work for lenders, according to data from the latest quarterly Banking Compliance Index, published by regtech solutions provider, Continuity. The report found that regulatory activity in the first quarter of 2018 remained low, dropping 15 percent from the same time last year. 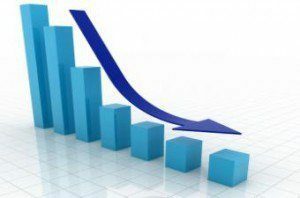 It reflected a sharp drop of 61 percent from the fourth quarter of 2017. The quarterly index quantifies the incremental burden on financial institutions in keeping up with regulatory changes. Data on the index revealed that regulatory activity during the quarter remained historically low and that the discussions around regulatory reform in Congress saw very less concrete action being taken last quarter. This inaction caused uncertainty about the regulatory environment for many financial institutions, the report revealed. The report found that the typical community financial institution needed a little over one half-time employee to keep pace with regulatory changes in the first quarter. While the 50 issuances during the quarter were on par with previous quarter volumes, they were less complex according to Cameron, who said that it wasn’t unusual to see a regulatory slowdown in the first quarter. The first quarter saw only 1,234 pages of new regulation and cost for compliance held steady at $10,766 for an average financial institution. The report said that the adjustment to the Prepaid Accounts Rule and update to the status of the Payday Lending Rule were the two significant regulation changes seen during the quarter. Financial institutions will look at keenly following the rulemaking process to reconsider the Payday rule announced by the Consumer Financial Protection Bureau (CFPB) in January, the report indicated.